 Since launching the new College of Arts and Sciences website in February 2013, the Office of Educational Technology (eTech) has made numerous changes in response to surveys, informal requests, and users’ comments. Now, a little over a year since the site went live, we’re seeking more formal, data-driven feedback via online usability testing. “Usability testing” is a broad term that encompasses many means of evaluating a website’s user-friendliness — the speed and ease with which visitors find the information they’re looking for. Some usability tests involve observing or talking to users while they click through a website or perform activities such as sorting labeled cards. The test we’ve built is entirely anonymous and web-based: Users follow a link to the test, then answer questions and complete several tasks that require them to navigate from as.ua.edu to other pages within and outside the College website. Because our primary audience is students, the tasks in our test are oriented toward the kind of information students and their parents most often ask for. We’re not testing our users, we’re testing our website. We want to know whether the way we’ve organized and designed the College website serves our users well, and we invite you to participate. Whatever your relationship to the College — student, parent, faculty or staff member, or curious web surfer — we encourage you to follow the link at the end of this post and complete our test. Your experience will help us both improve this site and build better sites in the future. If you’d like to offer additional feedback, email us at webmaster@as.ua.edu.